In a recent interview, the CEO of Monsanto, Hugh Grant, claims that Monsanto’s best-selling herbicide Roundup is not carcinogenic. This claim goes against numerous evaluations of Roundup and its ingredients concluding that glyphosate – a primary ingredient in Roundup – is indeed carcinogenic. Unfortunately for Grant, he is defending one of the most hated companies in the world, as well as a chemical that has been widely linked to environmental and health damage by numerous other research and statistics pieces presented by the scientific community, including the World Health Organization. And since glyphosate has been named as the most used herbicide EVER, it might be good to take Grant’s assurance with a grain of salt. The majority of this herbicide use has been in the last 10-15 years, which means its true ramifications for damage probably won’t be discovered for possibly another decade. Monsanto has urged the World Health Organization’s International Agency for Research on Cancer (IARC), which found the herbicide to be ‘probably carcinogenic’ after reviewing loads of data, to print a retraction. Grant also attests that Health Canada and the European Food Safety Authority (EFSA) rejected the IARC’s findings. While this is true, it doesn’t paint an accurate picture of what science is saying about Roundup. Last month, 94 scientists from around the world came out in defense of the IARC’s original findings. The EFSA is also under fire for excluding certain pertinent insider scientific studies on the herbicide. Members of the European Parliament’s Environment Committee have questioned the transparency of their methods to determine that glyphosate is safe and deserves renewal registration for sale in the EU. Many members of the EU’s parliament want to halt the herbicide’s re-approval over health concerns. 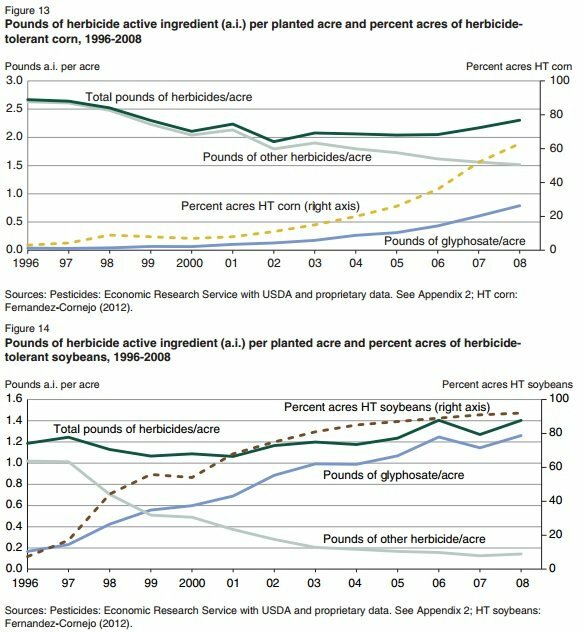 Even notoriously slack US government officials are herbicides into question overall. The U.S. Environmental Protection Agency internal watchdog group, the Office of Inspector General, announced late last month that it is opening an investigation into “herbicide resistance,” otherwise known as the spread of superweeds, as well as the human health impacts of chemicals that are used regularly to grow genetically modified, ‘Roundup Ready’ crops. Based on numerous studies, a lot of ‘conflicting’ research, and many claims, it seems Grant has more explaining to do.